not Third-Great-Grandfather Joseph Burkey served in the 126th Regiment, Company B, of the Ohio Valley Infantry during the Civil War. He is buried in New Cumberland Cemetery near Atwood Lake, Ohio. Like the life and times of Fifth-Great-Grandfather — and Revolutionary War vet — Jacob Crites, the details of the childhood, married life and final days of Joseph Burkey are mostly elusive. But we’re pretty clear on his war record and the activities of his company during the Civil War. Joseph was born May 18, 1840, probably near Guernsey, Ohio, where the Johnson clan called home. In the 1850 census there is a Joseph Burkey Sr. there in Oxford, born in 1805, with a wife named Jane and a bustling household, of which an 8-year-old Joseph Jr. is part. The dates almost line up — in the vein of census inaccuracies and subsequent leeway. Joseph is next found in a Guernsey County census in 1860, in the home of James and Emeline Scott, listed as a laborer. Joseph and Jane Burkey appear as neighbors on the same census page, a couple households higher up. In between is the great Civil War. And in 1880, we again catch up to Joseph Burkey in Guernsey County, this time farming and married to a Mary J. Burkey, born about 1830 and 10 years his senior, with a household of five young children, including Sarah E. A., age 13. A 75-year-old Joseph Burkey senior is also among the family. What makes the three records hold at least loosely together are the birthplaces of Joseph Burkey’s father in Pennsylvania and mother in New Jersey, the consistent ages of the particulars, the birth year of Mary J., which is consistent with Amanda Stevenson’s in family lore, and the 1867 birth year of Great-Great-Grandmother Anna Burkey Johnson. As to the rest, and the latter details of Joseph’s life, it’s a bit murky. We don’t know when Amanda died. An 1890 census that was largely destroyed by fire keeps us from catching up with Joseph again until shortly before his death in 1900. 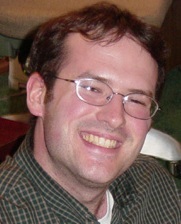 By then he is living in Warren Township, Tuscarawas County, and remarried to Clara (Kerr) about 5 years. She is 47 and childless; he is 60. He works as a farm laborer and owns the house he’s living in. Again — this record matches up with birth year and with parents born in Pennsylvania and New Jersey, respectively. We also match the couple to Joseph’s pension record, which lists Clara as dependent. There is the curious notation next to invalid status, in March 1885, and records Clara’s widowhood in December 1901, a full year after Joseph’s death. But who knows with bureaucracy and paperwork? 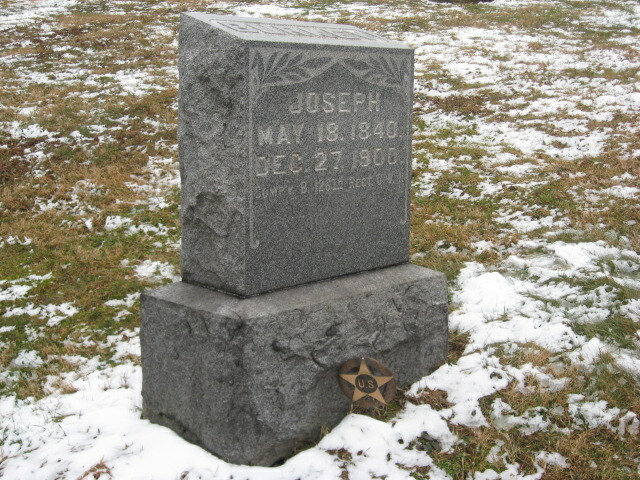 Joseph is buried in New Cumberland Cemetery, near Atwood Lake, Ohio. Clara is there, too, — her stone bears a death date of June 26, 1911. The grave of Amanda Stevenson is nowhere to be found. What we do know is that Joseph Burkey enlisted as a private in Company B of the 126th Infantry on May 17, 1864 at age 23. He was drafted, according to Army records. He was mustered out at the same rank on June 19, 1865 in Baltimore, Maryland. The record of his Ohio regiment is set forth below. Joseph would have seen action the year’s worth of battles throughout Virginia, just after Spotsylvania Court House. One Hundred and Twenty-sixth Infantry. – Col., Benjamin F.
mas W. McKinnie; Majs., George W. Voorhes, William G. Williams. cacy, in which it lost heavily. It marched in pursuit of Gen.
379 men wounded; aggregate, 509. Fought on 9 Oct 1862. Fought on 14 Jun 1863 at Martinsburg, WV. Fought on 15 Jun 1863 at Williamsport, MD. Fought on 15 Jun 1863 at Martinsburg, WV. Fought on 14 Oct 1863 at Bristoe Station, VA. Fought on 27 Nov 1863 at Mine Run, VA. Fought on 6 May 1864 at Wilderness, VA. Fought on 7 May 1864 at Wilderness, VA. Fought on 9 May 1864 at Spotsylvania Court House, VA. Fought on 10 May 1864 at Spotsylvania Court House, VA. Fought on 18 May 1864 at Spotsylvania Court House, VA. Fought on 21 May 1864 at North Anna River, VA. Fought on 30 May 1864 at Hanoverton, VA. Fought on 6 Jun 1864 at Cold Harbor, VA. Fought on 19 Jun 1864 at Bermuda Hundred, VA. Fought on 22 Jun 1864 at Weldon Railroad, VA. Fought on 22 Jun 1864 at Petersburg, VA. Fought on 9 Jul 1864 at Monocacy, MD. Fought on 21 Jul 1864 at Snicker’s Gap, VA. Fought on 9 Aug 1864 at City Point, VA. Fought on 28 Aug 1864. Fought on 19 Sep 1864 at Opequan, VA. Fought on 21 Sep 1864 at Flint Hill, VA. Fought on 22 Sep 1864 at Flint Hill, VA. Fought on 22 Sep 1864 at Fisher’s Hill, VA. Fought on 19 Oct 1864 at Cedar Creek, VA. Fought on 12 Nov 1864 at Middletown, VA. 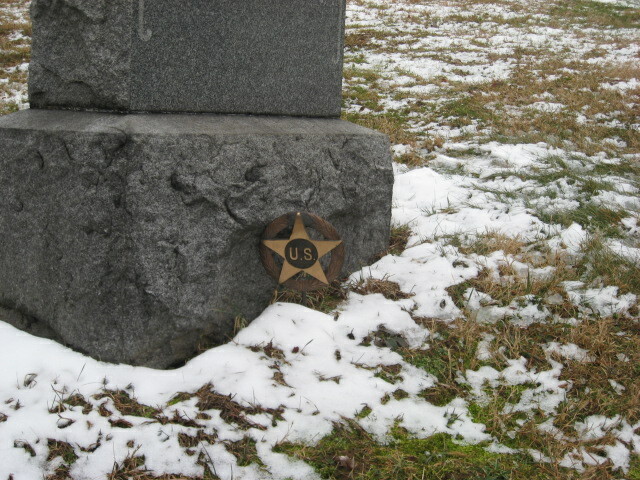 Fought on 25 Mar 1865 at Petersburg, VA.
A star marks Joseph Burkey’s grave, for service in the Civil War. 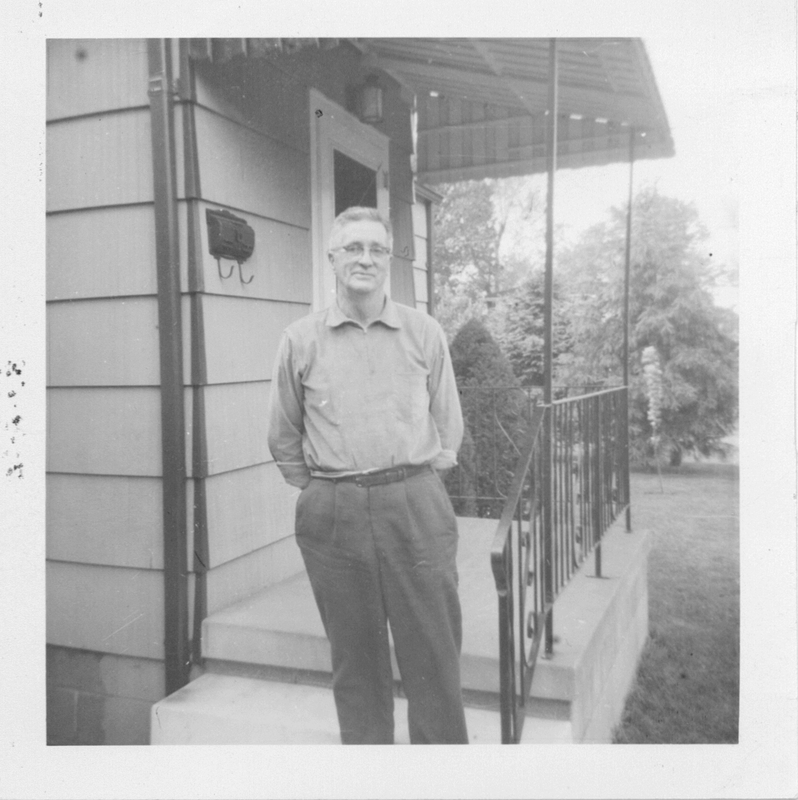 Colt's great-grandfather, Vance Foutz, on the steps of the apartment at 428 Race St. (rear) in Dover where he lived in the years following the death of his wife, Laura (Zeigler) Foutz. Where were we again? Where’d we leave off, when last we gathered around the whispering flames? Ah, yes. Headed east along U.S. 250, crossing the border of Tuscarawas and Harrison counties in Ohio and bound for Route 151 and its winding course toward Scio, where the Palmers farmed, not far, incidentally, from the Foutzes (and Pfoutses), oh, a century and hefty change ago. And that’s where we were headed in our exploration of the lives of our ancestors, through the obituaries and other various and sundry artifacts turned up during a brief visit home in March. The course I plotted had already taken us through the Leys, was winding through the Johnsons/Palmers and bound for the Foutzes and, eventually, the Weibles. The booty? Considerable. Photos of final resting places, obits commemorating lives well-lived (and, at times, tragically ended), stories from the history books, documents from the official record, tales from the road. All tidbits hitherto undiscovered until teaming up with distant (Foutz, by way of Moreland) cousin Dawn James for a bout of “full-contact” genealogy. And what delayed us? Life, as it happens, in the present day. And, more specifically, a new family dog for this generation of Foutzes/Leys/Johnsons/Weibles. Bark Once if You’ve Heard this Before…. Growing up, dogs were always part of our family (if not our family tree — though members of our tree on Geni.com will notice all the furry siblings and children my cousin Sarah has added (happy birthday, Kipling!). A post earlier this year shared a letter from 60 years ago detailing the training of one my great-grandfather Robert Ley’s hunting dogs. In the comments section for that post, you can find evidence of how two distant Ley cousins display their love for dogs and the wilderness. Richard Ley and his 20-odd hounds outfit expeditions hunting bear and cougar in New Mexico. Also operating from the Land of Enchantment, cousin Huie Ley runs a general store and riding stables. When I was growing up, the Ley family dog was named Shadow. A friendly, smallish black and white mutt kept by my grandparents. She was allowed to roam up and down the hill, stopping inside for a juicy meal of Gainesburgers. Legend has it she was dropped off at the Dover Dairy Queen (later, Softies) during my mom’s shift there, and Mom entrusted her to my dad before bringing her home. And home she stayed until she was a doddering teenager (in people years) and I was almost a teen myself. 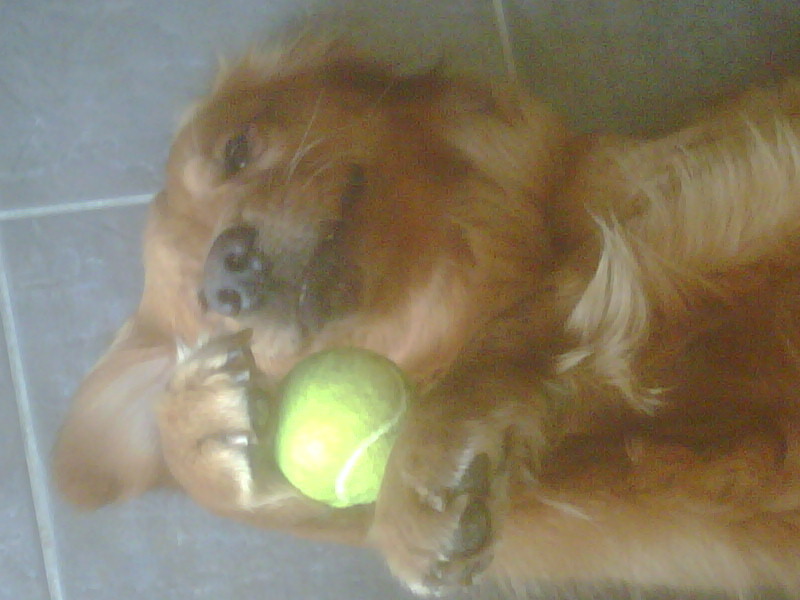 In my house, we had a fun-loving — but splendidly trained — golden retriever named Chase. We picked him up, as my memory goes, after a trip to Sea World on or about my fifth birthday. (Mom has insisted it was before my birthday, since I could still get in free.) I remember we brought him home in some sort of carton he was chewing through, and when we let him out in the yard he chased us around (befitting his name), nipping at our ankles. I learned to care for Chase. It became one of my chores, later on, to feed him, and take him on the odd walk. He was more of an outside guy. Stayed in the kennel and run my uncle Bob Ley used to have for their dog. (Princess?) Chase was with us a good 13, 14 years. I was home from my first year of college when I went out to feed him, lifted the lid of his doghouse, and found him, peacefully at rest. A good, long life for a “cedar dog” fond of heading out for an adventure the moment our attention was occupied and returning, usually muddy to the hips from a swim in the Tuscarawas River, a day or several later. We added a cocker spaniel when I was in high school. Maggie, a black, jittery dustmop, but she got along well. An homage, perhaps, to Mom’s cocker, Corky, when she was a girl. And later, Summer, a female golden, joined the mix. We’ve watched her go from a spindly pup with a white “jewel” splotch on her otherwise impeccably purebred forehead, fond of crawling under legs, through her jumpy, fetchy teen years to her doddering, jewel-faced seniorhood, during which she is still fond of crawling under legs. All of this is preparatory, perhaps, to introducing the latest addition to our family. And explaining, partially, my absence. We’d been talking about welcoming a dog into our family for awhile. Whether or not our 13-year-old cat, Lucy, would tolerate his presence was something of a consideration. In the end, I was dogged by an absence. An itching in the palms that begged a bit of canine cranial to fit, softly, naturally there. I began to research rescues. Labs were considered, researched, applied for. In the end, I was taken with the image of a gorgeous golden picked up as a stray in northern Illinois and saved from death row by Illinois Animal Rescue. We applied for him, got ’em (to the chagrin of maybe a couple dozen others who, as luck would have it, called after I did), and have been spending the last four months getting to know him and integrating him into our bustling home. We renamed him Macallan — in honor of the Scottish birthplace of goldens, and a pretty fine single-malt — and he has warmed our hearts with his headlong pursuit of tennis balls and all the affection we can give. Been a pretty wild four weeks, so far, and a considerable consumer of attention. And yeah, of course we love it. It would be decidedly unartful to render all of the above as a mere excuse. (Though perfectly fine.) Instead, I’ve been thinking about what it would have been like to walk up to some of our ancestors’ homesteads in years far fallen from the calendar. And what sorts of folks — and four-legged companions — we may have been greeted by. Strolling down the dusty main drag of Port Washington, Ohio, circa 1850. Would Charles Ley (the former Karl Gottleib Ley), resident saddler, also have housed a dog or two in his stables? Picking through the hilly acreage of Gideon Foutz, say, about 1895. Would we first be met by a pack of farm pooches, racing from the main cabin or else alongside (great-great-great) uncles Nelson and Nathaniel where they worked? Perhaps trailed by visiting grandkids Vance and Charley and a Moreland or two? Or that packed Johnson household, circa 1930, in New Philadelphia? Ten mouths to feed and perhaps a dog besides. I bet we’d still find a place at the table. And stories enough to last. Or from a shady porch off Wooster at a Weible address. We’d sip our lemonade or iced tea and have our palms wet from condensation and licks besides. You can tell a lot about somebody by the company they keep. Homo sapiens and otherwise. Wouldn’t it have been something to find out? Ah well. The former porch of an aged Vance Foutz is empty now. But if I could, I’d ask him — did your grandpa own a dog? Or your dad? Or you? Ever wanted one? If so, what kind? And what would you name him? And where could we take him, given an afternoon, and time? What adventures could we get into? Boys, even 90 or so years removed, have their favorite themes. 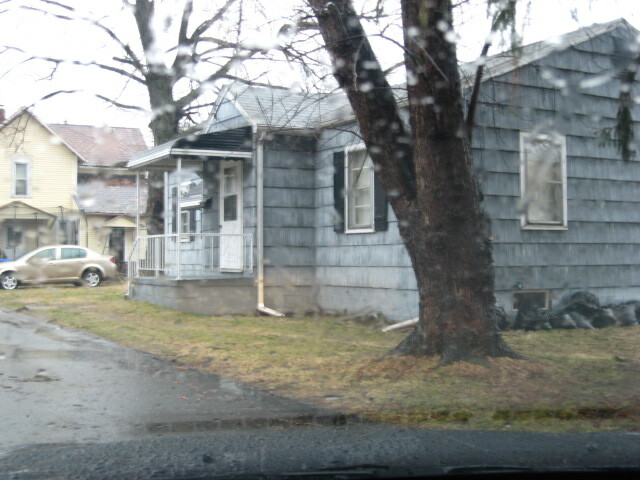 Vance Foutz's former apartment, seen on a rainy March day in 2011, opposite from where he stood in 1963. We know he enterained his card buddy Jacob Lentz. Did he ever have a dog? 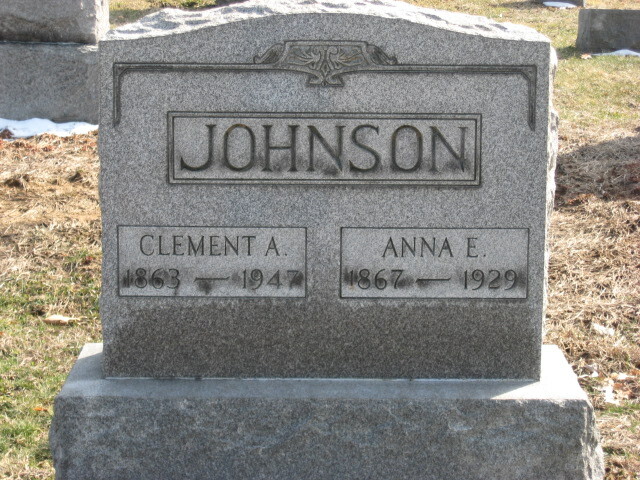 Colt's second great-grandparents, Clement Johnson and Anna Burkey. This blog series explores the lives of Johnson ancestors as revealed in their obituaries. Much of this information was gathered during a March 2011 research trip to Tuscarawas and Harrison counties in Ohio. A scan of the obituary is available at the bottom of this post. Clement Johnson, 84, of 890 E. High Ave., New Philadelphia, died at his home Saturday at 6:45 p.m. of complications. He had been ill since last February. 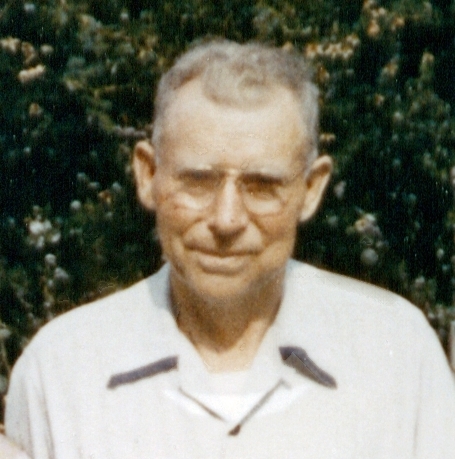 Mr. Johnson, who lived most of his life in New Philadelphia, was born at Middlebourne, Guernsey County, and was a son of the late Thomas and Nancy Valentine Johnson. He was last employed by the Buchanan Gas and Oil Co. Surviving are five sons and three daughters: Mrs. Carrie Swank, Mrs. Della Weber, Charles and Dwight Johnson, all of New Philadelphia, Adrian Johnson of the home, Mrs. Helen Stringer of Dover, Delbert of Sadis, Donald of Ecorse, Mich., and Norman of Washington State; 30 grandchildren and 19 great-grandchildren; and a sister, Mrs. Virginia Touvelle of Barnesville. Friends may call at the residence where services will be held tomorrow at 2 p.m. Rev. Herbert Smith will officiate and burial, in charge of the Linn-Hert Co., will be in East Avenue Cemetery. It is worth noting that Clement, like his son Charles, was a coal miner. Oddly enough, he died 11 years to the day before his daughter-in-law, Viola Mae (Palmer) Johnson. What else was happening in the world Aug. 16, 1947? Days earlier, both Pakistan and India had gained independence from the British Empire. Barely a month earlier, the controversial — and disputed — UFO incident took place in Roswell, N.M. A week earlier, the balsa raft Kon-Tiki completed its Pacific journey. One of the more intriguing aspects of my family history research has been linking up with the discoveries made by others in my family — those known to me and those newly met — and adding their finds to my own work, or helping them along in their research with what I’ve been able to uncover. My mom did a lot of digging into the Leys and Weibles, when she was about the same age as I am now. And I’ve benefited from the documents and pictures she saved, as well as the books she stocked on the Leys, Powells, etc. On the other side of the tree, my grandma Erma (Johnson) Foutz left behind a trove of items from her decades of pondering and pursuing clues into both her family and my grandpa Foutz’s. 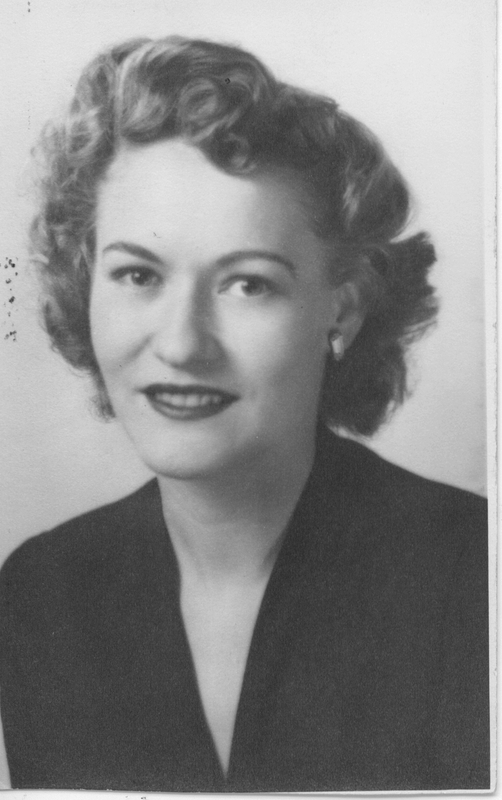 Countless newspaper clippings, cards from funerals, family snapshots and genealogical lists in her elegant hand — with all the attendant red-ink corrections and deletions and additions. One of Grandma’s last projects was to begin a series of pocket-size family records she intended to pass on. Her working copy — bound in green — contains the above noted flourishes, as she deciphered and backtracked and polished her understanding of previous generations. Since the summer, I’ve been working in one of her brown-covered blank copies, and delighting as I’ve confirmed or otherwise amplified the information she had collected. Surprisingly, for such a common last name — I’ll get to all the Charles Johnsons and Thomas Johnsons dotting east-central Ohio later in this post — we know an awful lot about the parents and children of my great-grandfather’s and great-great grandfather’s generations. It’s immediately after that — or, I guess, before — that records and knowledge start to break down. Then again, in the spirit of comparing notes, a lot of what I know about the Johnsons today is built upon the research of others — my grandma; my grandma’s niece, Sarah Fitzgerald. And I’ve heard there’s at least one other Johnson son out there who’s racked up a lot of info. So here’s a look at what we know so far. With some combined sleuthing, we’ll see what corners we can find assured passage around, what dead-ends we can throw a ladder over. Born in Illinois, Sept. 6, 2006 and Sept. 9, 2008. Born in Dover, Ohio, June 2, 1976. Educated at Carnegie Mellon University and Columbia College Chicago. 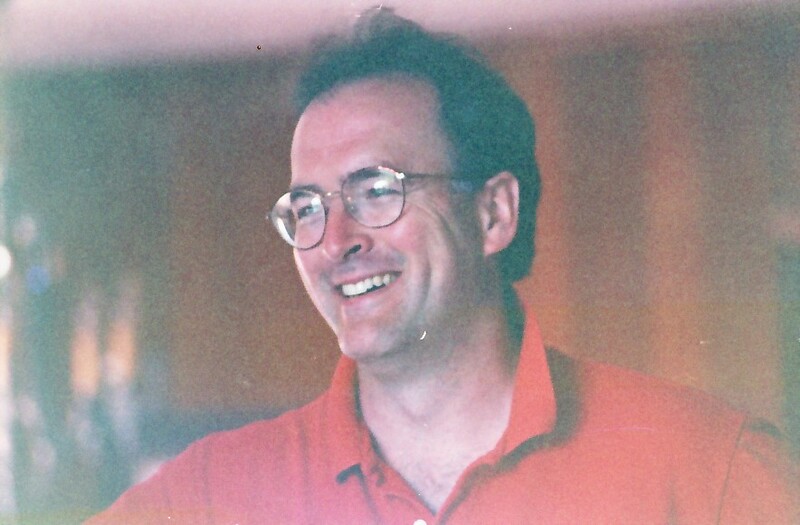 Newspaper reporter and columnist in Ohio and Illinois, freelance writer, musician. Currently manages a creative team at a Chicago advertising agency. Married Sept. 21, 2002 in Olathe, Kansas. Katie was born Dec. 8, 1977 in Rochester, Minn. Parents of Jonah Robert, Benjamin Peter. Father. Born in Dover, Ohio, June 5, 1952. Educated at the University of Cincinnati. Salesman, sales manager, customer service rep. Married Dec. 21, 1975 in Dover. Janet was born May 25, 1952 in Dover. Parents of Frederick Colt, Daniel Morgan, Jacob Ley, Samuel Chase. Grandmother. Born Oct. 27, 1920 in New Philadelphia, Ohio. Died July 16, 2000 in New Phila. Secretary, homemaker. Married May 9, 1942 in Dover. Don was born March 4, 1914 in Dover, Ohio. Died Nov. 14, 1980 in Dover. Parents of Donn Dale, Robert Vance, Frederick Charles. Remarried Jan. 1, 1982, to Max Troendly Miller (1916-2009). Made her home later in life in Green Valley, Arizona and New Philadelphia. Great-grandfather. Born Nov. 6, 1886 in New Philadelphia, Ohio. Died Sept. 13, 1962 in New Phila. Coal miner, steelworker. President, Local 8607, United Mineworkers of America. 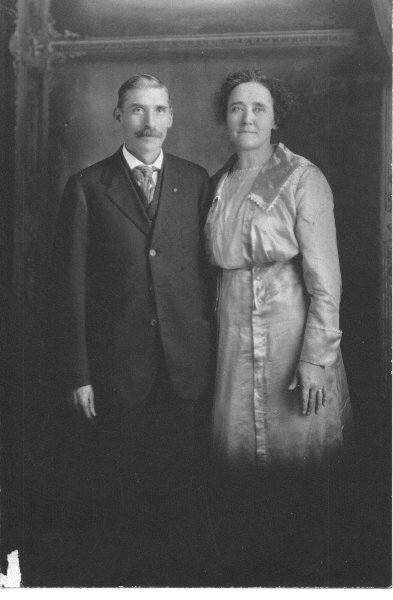 First married Feb. 17, 1907 in Tuscarawas County, to Leona Miller. She died shortly after. Second marriage (to Viola Palmer) July 1, 1911, probably in Dennison, Ohio. Viola was born June 3, 1889 in Scio. 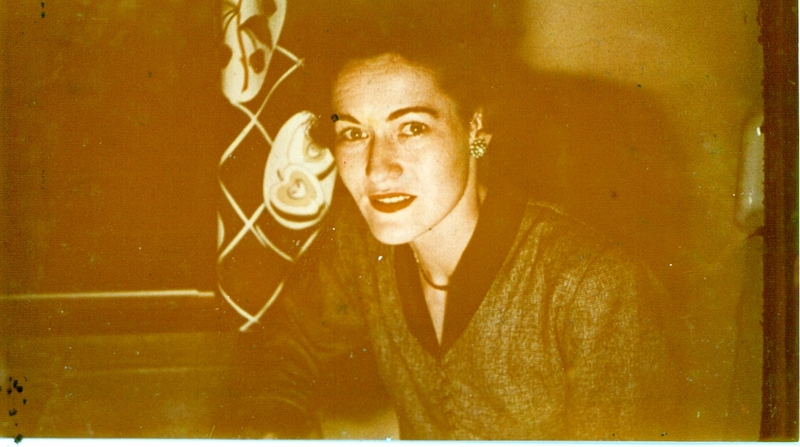 She died Aug. 16, 1958 in New Phila. Parents of 10: Thomas Leonard, Virginia Mae, Nellie Irene, Carl Arthur (died young), Erma Maxine, Charles Jr. (died young), William Dean, Joseph R. (died young), Lloyd George (twin) and Floyd Clement (twin). 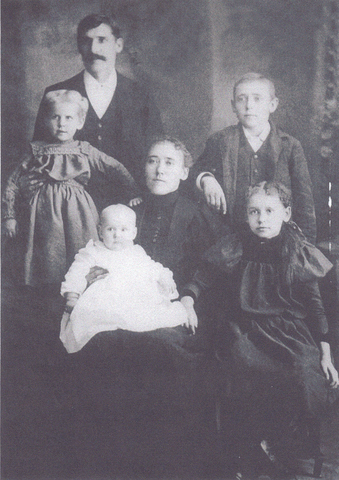 Johnson family: Clement, (clockwise) Charles, Carrie, Anna, Donald, Helen. Second great grandfather. Born March 6, 1863 in Middlebourne, Guernsey County, Ohio. Died Aug. 16, 1947 in New Philadelphia, Ohio. Coal miner. Married Sept. 25, 1884 in Guernsey County. Anna was born July 25, 1867 in Guernsey County. She died Nov. 3, 1929 in New Phila. Parents of 10: Charles Arthur, Carrie Mae, Roy (died young – had twin who died at birth), Helen Viola, Donald D., Dwight Joseph, Delbert M. (twin), Della (twin), Alvin Norman, Adrian L.
Third great grandfather. Born about 1822, probably in Ohio. Died 1864 in Corinth, Miss. Farm laborer. Served the Union Army during the Civil War as a mule skinner. According to family lore, he died of the measles during a march through Mississippi. Because of his non-soldier status, his wife could not collect an army pension, and she is listed on the 1870 census as a pauper, with at least one of her children living in a relative’s household. In the one census record in which his married family appears together (1860), he is listed as not able to read or write. Married Feb. 4 or 9, 1854 in Guernsey County. Nancy was born about 1836 in Guernsey County. She probably died in 1928. Parents of four confirmed children: Violet Melinda, David, Virginia Frances, Clement Arthur. As family legend had it — or at least what I can remember of it, possibly incorrectly — the Johnson line came from England. But so far I’ve stumbled upon nothing that firms up that rumor. There are several records that connect a Thomas Johnson born in Ohio in 1822 to a George Johnson as father, and a Mary as mother. However, several of these records show Thomas leading quite a different life after that, with a different spouse in one case, and saved by different descendants and relatives in others. So it’s tough to say what’s what. There are several Thomas Johnsons that pop up in Guernsey County from about 1820 on, and they have birthdates that could connect to our ancestor as late as 1829. But the single census record in 1860 that shows Thomas W. Johnson’s married family all living together has him as 38 years old, and Nancy as 24. Unfortunately, the transcriptions of their marriage record (which list dates of Feb. 4 and 9, alternately) do not have any more information than the date, location and their names. The more promising leads on connecting Thomas W. to a father named George are the tax records for Guernsey County which show him living in various parts of the county — Spencer Twp. and Derry among them — and sometimes appearing with the initial R. These could be different George Johnsons. And there are census records for 1850 that list a George Johnson, born 1797 in Virginia, in Cumberland, Guernsey County. This would make him about the right age to father Thomas. But again, these docs need to link up in a convincing way to provide anything approaching proof. What would be nice is finding a death record for Thomas that lists his parents. Or some fragment from a local history that establishes who the family is and where they came from. Clement’s death record reports his parentage accurately. But his oldest sister’s death record (for Violet Melinda) only contains the curious information that she had a son — without being married — and that he claimed not to know who his grandparents were, or where his mother was born. Definitive clues could be uncovered by tromping around Guernsey County, or tracking down their actual gravestones. By the 20th century, of course, Clement had moved the family to New Phila, where at least two subsequent generations (my great-grandfather and grandmother) were more or less lifelong residents. The living Johnson siblings, in 1979. Oldest bro Leonard is far right. 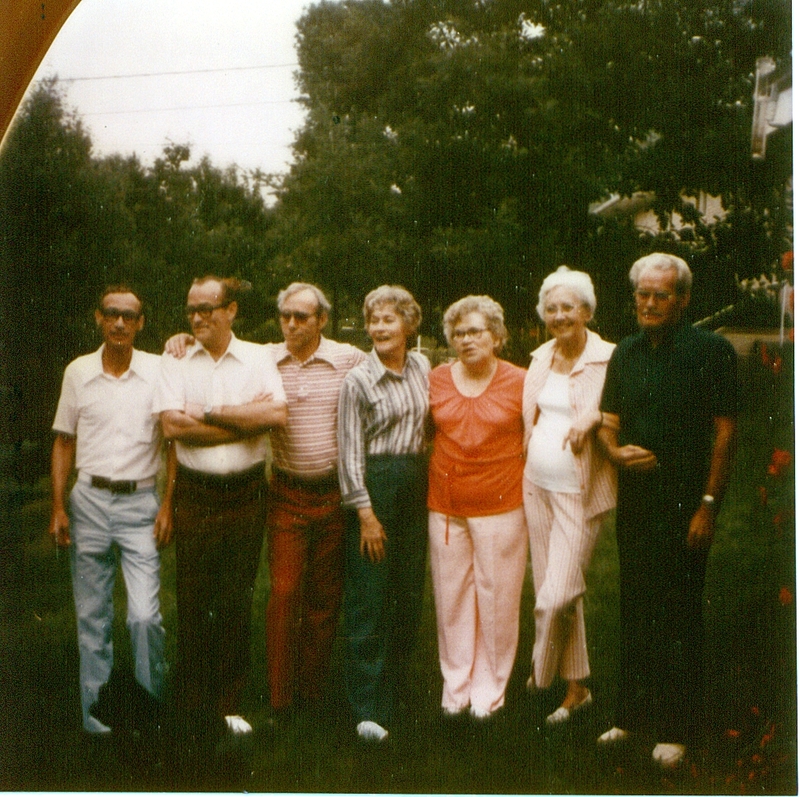 My grandma, Erma, is center.